The Jazz Journalist Association has just posted the results of the first round of voting for their upcoming prestigious Jazz Journalists Awards. The awards are voted for each year by the members of the JJA. The awards encompass various categories in jazz music, including awards citing excellence on various instruments, vocalists, big bands, small ensemble groups, composers, writers, photographers and a video-grapher/filmmaker category. Here is a link to view this year's final nominees. 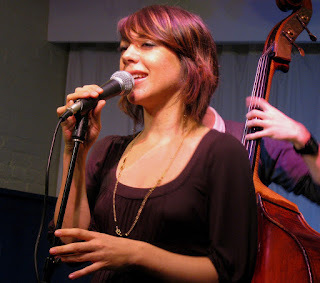 Review of Gretchen Parlato's " Lost and Found"
Gretchen Parlato’s "The Lost and Found"
I have been intrigued by Gretchen Parlato ever since I first heard her hauntingly, beautiful voice used as an instrument on Justin Vasquez’s fine debut album “Triptych” back in 2008. Her precise voicing seamlessly tracked the other instruments with impeccable timing and pitch perfect tone. “ In A Dream” . She continued to impress with her intimate, breathy delivery that draws you in like pillow talk from a coy lover. While her whisper-like technique is unusual, setting her apart from other more forceful singers, I feared that over time this approach might lose its appeal or worse be labeled an affectation. Now comes her latest release “ The Lost and Found" and Ms. Parlato dispels all questions that she may be a one trick pony. She affirms her truly unique musical vision and further validates her status as a genuine breakthrough talent. Robert Glasper’s injection of a hip hop influence in the beat, or she is tackling an eerie rendition of Wayne Shorter’s “Ju Ju”, Ms. Parlato brings her own subtle sense of musicality, exquisite timing and unerring pitch to the proceedings. Ms. Parlato has assembled an extremely sympathetic group of musicians for this date raising the level of the entire proceedings, achieving a quantum leap in her musical progress. Taylor Eigsti on piano is a delight throughout. His accompaniments are supportive and enlightening, helping Ms Parlato reach spectacular results. Listen to Eigsti’s elegant cascades on Ms. Parlato’s “Winter Wind”. 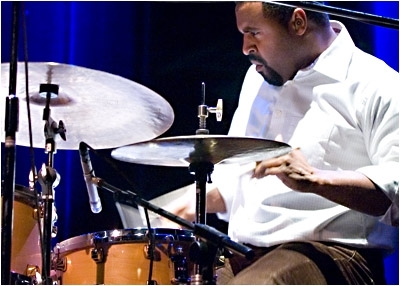 Her long time collaborator, Kendrick Scott, on drums is an essential element to the flawless execution of several songs. Mr. Scott lends an unerring sense of time and subtle syncopations in just the right places. Eigsti’s silky smoothness on Fender Rhodes is very effective as he compliments Parlato’s vocal on “How We Love” to dreamy perfection. Ms. Parlato vocal collaboration with guitarist Alan Hampton on his “Still” is airy and sensitive and an interesting departure from most of the other music on the album. .
“Better Than” Ms. Parlato allows her voice to whisper over Eigsti’s piano and Scott’s effective behind the beat snare. 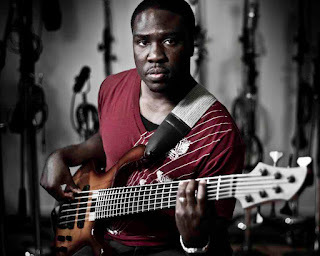 “Circling “ is perhaps Ms. Parlato’s most compelling composition on the album; its pulsating circular beat played brilliantly by bassist Derrick Hodge. Eigsti dances on his Fender Rhodes as Ms. Parlato mesmerizes with her airy vocalese that is more like soft humming than scatting. Trumpeter Ambrose Akinmusire’s haunting “Henya” is a beautifully executed example of the controlled subtlety of Ms. Parlato’s voice. 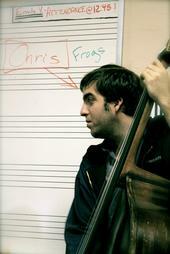 Hodges’ bass is subtly probing as Ms. Parlatto’s creates an accompanying chorus of wordless sounds in the background. “All That I Can Say” is a retooling of the Mary J. Blige dance friendly shuffle, that is sure to please the less jazz oriented listeners. Parlato’s version has its own charm. The Bill Evans/ Miles Davis classic “Blue and Green” is given an uncomfortable beat that for me relegates the song to just another tune of the same name, instead of retaining the masterpiece qualities of the song as it was originally created. Some things are better left alone. “ Lost and Found” the wispy Ms. Parlato gives a most sensitive performance as Mr. Stephens plays tenor sparsely behind her. Mr. Scott and Mr. Hodge are beautifully restrained as Mr. Stephen’s deftly choose a modicum of notes . Mr. Eigsti’s composition “Without a Sound” starts with a chime-like repeating line, presumably with Mr. Eigsti on a decidedly hollow sounding Fender Rhodes, as Mr. Hodge delicately plays guitar-like sounds on his upright bass and Mr. Scott adds percussive accents from his arsenal. Ms. Parlato’s voice is appropriately hushed creating a surreal dirge-like atmosphere. Ms. Parlato will be returning to the Firehouse 12 in early June. Musicians: Gretchen Parlato (vocals);Taylor Eigsti (piano and keyboards); Derrick Hodge (acoustic bass); Kendrick Scott (drums); Dayna Stephens (tenor saxophone) Alan Hampton (guitar and vocals); Robert Glasper ( co-producer and Fender Rhodes on track 10). Recorded at Barking Pig Recording Studios, Salt Lake City, Utah. 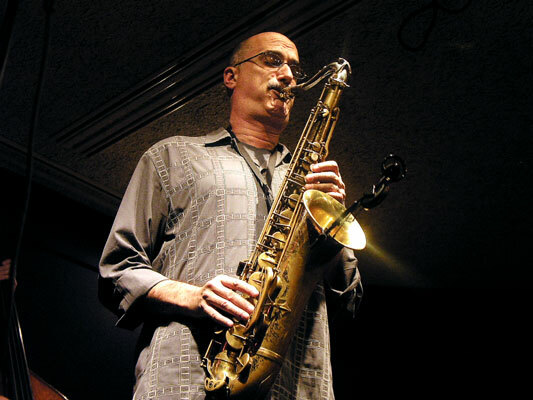 Michael Brecker and was pleasantly rewarded with a call of encouragement from the saxophonist. Recorded at the age of twenty-two, Baird’s album “Crosscurrent” is an exceptional debut and a signpost of what we can expect from this fine player. From the opening salvo, Baird’s rapidly punctuated tenor lines on his “Fifth Direction” sears with an intensity that pours from this man’s horn. He is ably backed by the driving rhythm section of Chris Tordini on bass, Steve Lyman on drums and long time associate Julian Pollack on piano. The title tune “Crosscurrent” is a beautifully conceived, aural representation of swirling musical eddy currents. Baird negotiates his solo passages with fluidity, grace and above all passion. 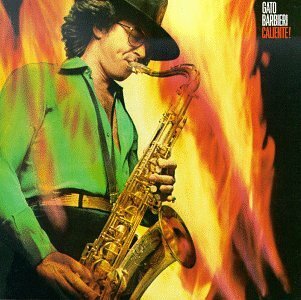 He is amalgam of his idol Michael Brecker’s angular phrasing and proficiency, combined with the unbridled sensuality of a Gato Barbieri. His compositions have complex lines with catchy, expressive bridges. 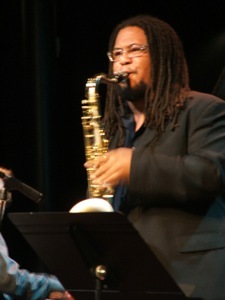 On “Infinite Motion” he shows he can play a waterfall of notes, all nicely connected to form a coherent theme. 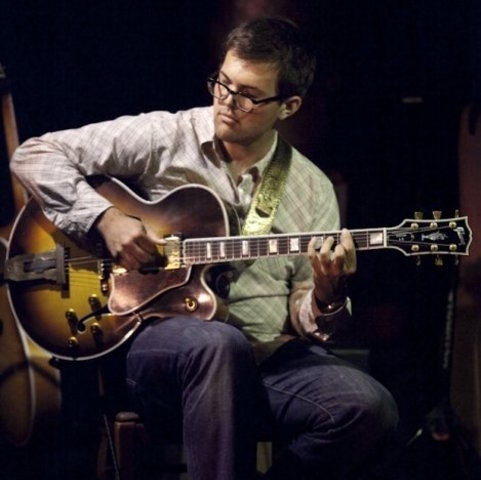 Guitarist John Storie adds a solo that climbs and descends along a particularly effective course. Pianist Pollock is omnipresent as a stabilizing force and a worthy foil for Baird. “What’s New” is one of two standards Baird tackles on the album. With an eerie guitar and piano intro by Storie and Pollack, Baird creates an evocative take on the old standard that is sure to please. Pollock is particularly lyrical as his solo is explores the essence of the tune. Storie’s chime-like guitar work at the coda is impressive. siren sounding “Lunessence”. Storie and Baird blend with beautiful simpatico in both tone and emotion. Tordini’s bass solo is a delight and Yoshzawa’s percussive accents are a welcome addition to the overall sound. Baird plays piercingly with controlled abandon, and its good to hear someone let loose like this. “The Traveler” is a seductively captivating tune. Baird’s talent lies in his ability to go from a quiet, deliberate tone-where he plays in between the lines of his fellow musicians- to a more urgent sound, as he builds himself into volcanic expressiveness. Storie’s guitar work is probing and harmonically interesting. Steve Lyman’s drum solo at the end is propulsive. “Cascade” with its mildly Celtic rhythms features a Pollack synthesizer solo that could have been from pilfered from Keith Emerson’s old playbook. “Dusk” is thoughtful Baird ballad that shows the young tenor man has a tender side. Pollock can play with great sensitivity when given some quiet time to be expressive. 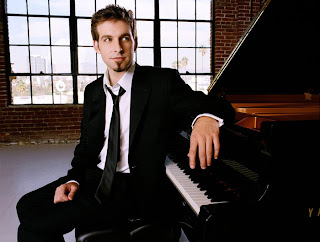 The pianist utilizes space quite effectively, letting his solos breathe and grow organically. Baird’s clarion tenor brims with raw emotion and Storie is particularly adept at finding the right chords and notes to play to compliment the entire arrangement. “All of You” which is played pretty straight ahead, with few surprises. 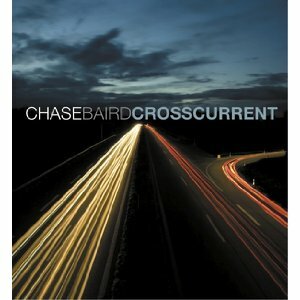 An auspicious first outing for Baird and company, “Crosscurrent” is a harbinger of what is to come from this emerging young talent. Musicians: Chase Baird, tenor saxophone; Julian Pollack, piano & keys: John Storie, guitar; Christopher Tordini, bass; Steve Lyman, drums; James Yoshizawa, percussion.